Employee scheduling becomes quick and easy with ZePlanner as you can assign orders to the staff by simple drag&drop. If you press Ctrl during drag&drop, you can assign orders to several employees. Working hours for orders can be lengthened or shortened by pulling at the edges of the task boxes in the timetable. 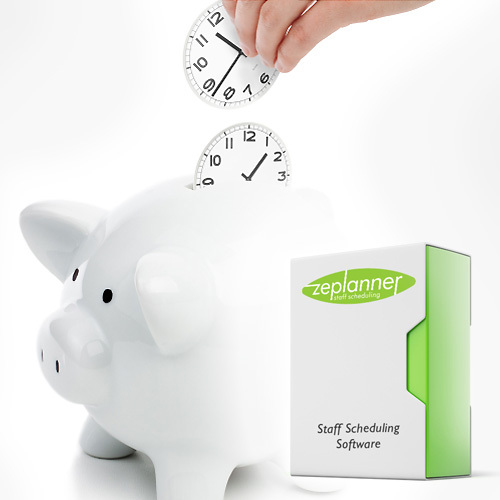 ZePlanner employee scheduler program thus provides a software with high usability. You can customise ZePlanner according to your preferences: colours, fonts, chart displays, filter settings etc. are saved for each user individually. This renders the structure clearer and reduces the time and effort involved in staff scheduling. Order planning: Plan your orders focused on your personnel and control the expected revenue at the same time. Interim results: Possible corrections can be implemented at any time and the changes are visible immediately. Final costing: The order balance sheet shows your revenues and all relevant operating figures. ZePlanner Sync ensures a seamless integration of ZePlanner into the application environment. All required data – clients, orders, income, costs – can be synchronised automatically and regularly through a variable interface. This reduces time and effort spent on entering data and prevents mistakes in the form of multiple entries. If you have questions regarding the options of ZePlanner Sync, please do not hesitate to contact us.